Burj Al-Luqluq Social Center Society organized “My Lantern is Made in Jerusalem” workshop to make Ramadan lanterns in the ceramic laboratory as a part of Burj Al-Luqluq monthly activities. This activity came within We’re the Change project, executed by Burj Al-Luqluq in partnership with CISP, funded by the European Union, and under the supervision of the ceramic trainer, Adham Hamayel. The activity started at 10 in the morning until 4 in the evening at Burj Al-Luqluq laboratory. 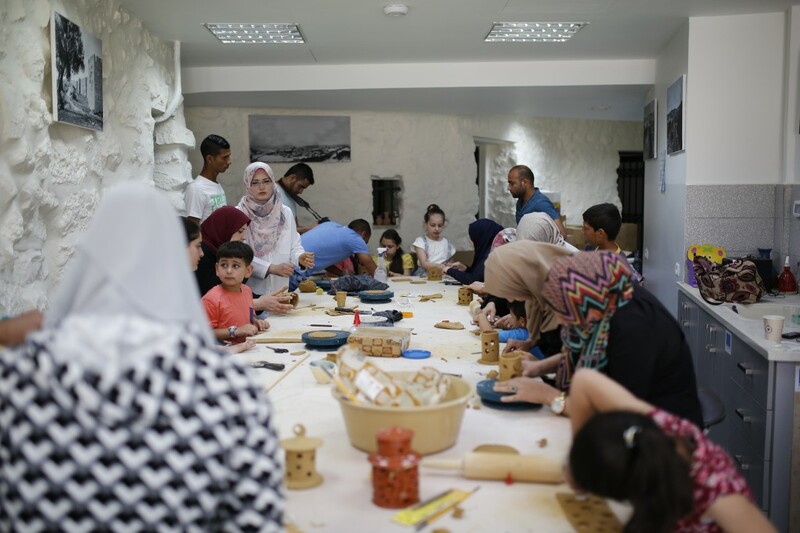 Around 20 Jerusalemite families came with their children and worked together on making their own ceramic lanterns for Ramadan with their own styles and preferences. Moreover, the trainer, in addition to the ceramic students helped the families to improve the shape and choose the colors they prefer in order to color it later. The Head of Board Members, Naser Gaith, assured on his behalf that this activity aims to support making lanterns and other handicrafts inside Jerusalem instead of buying the Israeli Lanterns. Moreover, this is considered as one of the mechanisms that support the Palestinian products and not the foreign ones.